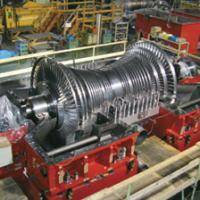 Fuji Electric specializes in the manufacturing and production of Power Generation equipment. Generating electricity often begins with a steam turbine, a device that extracts thermal energy from pressurized steam and uses it to do mechanical work on a rotating output shaft. The rotary motion generated by the steam turbine makes it ideally suited to drive an electrical generator, thereby producing power for your cities, offices and homes. 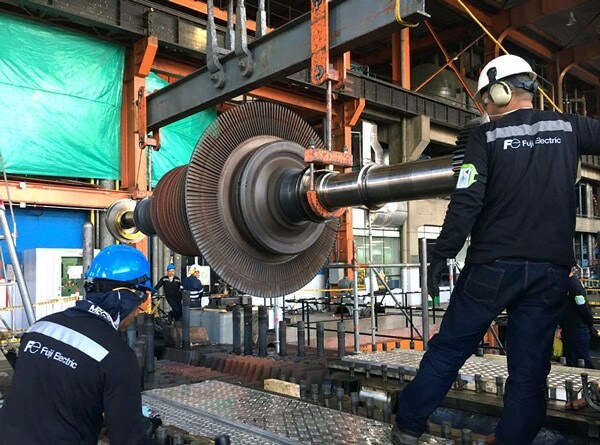 Fuji Electric offers a wide range of steam turbines and generators, from 30 MW to 1000 MW, and supports various applications including renewable energy and traditional fossil fuel sources. View the full line of power generation equipment below. Learn about “Fuji Electric and Takigami Geothermal Binary Power Plant Project” and how Fuji Electric’s innovative technology fulfills customer’s requirements.